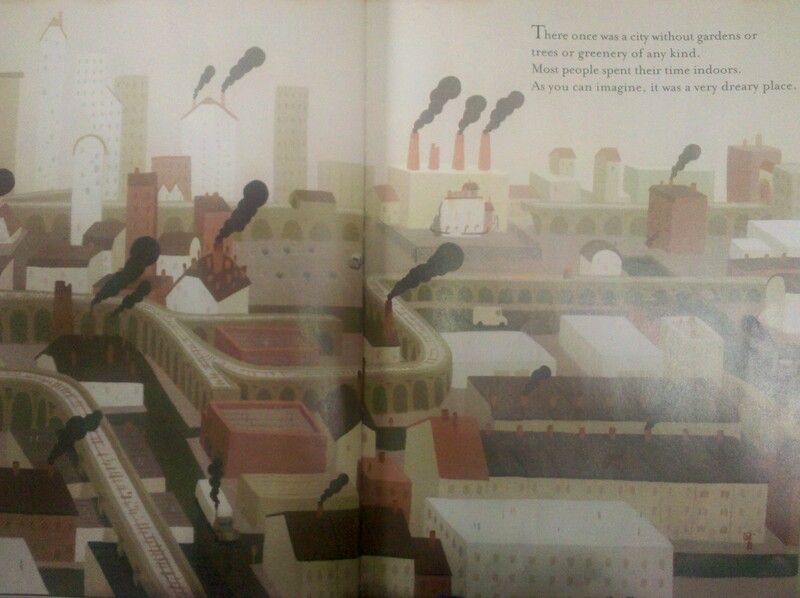 Liam is a curious young boy who lives in crowded city with no gardens, which makes it quite boring and unappealing. One day while exploring his city, Liam stumbles upon old train tracks that actually have a few dying plants. Liam decides that these plants need a gardener, so he begins his task to care for the plants and watches them grow and flourish. 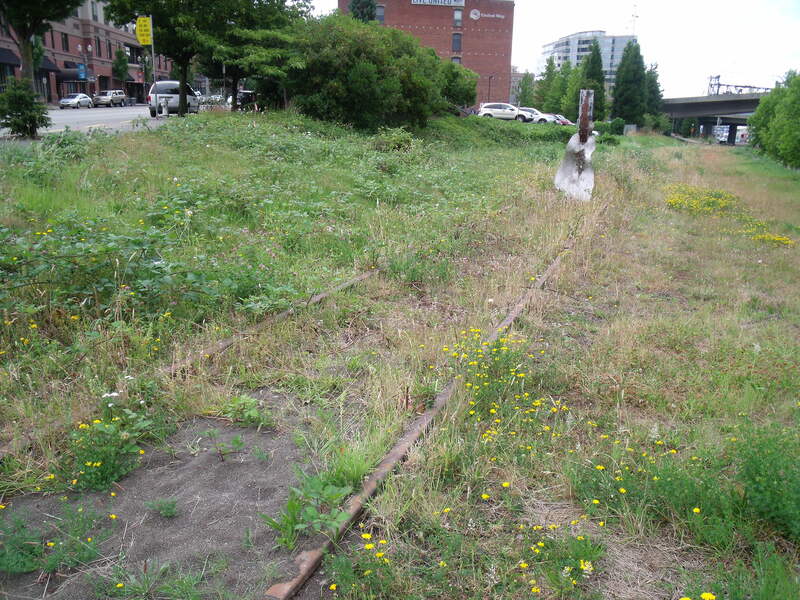 The garden itself is curious and grows across the tracks and soon throughout the city. With time there are more gardeners and the gardens grow upon buildings and many small spaces throughout the city. It no longer is a boring and gray city. I really enjoyed The Curious Garden. Many individuals live in industrial environments and assume that they can have no gardens and landscapes. However, gardens truly can grow upon building rooftops and nooks if we let the plants grow. There is an author’s note and he states that he was curious what would happen if an entire city decided to cooperate with nature and how would the city change. 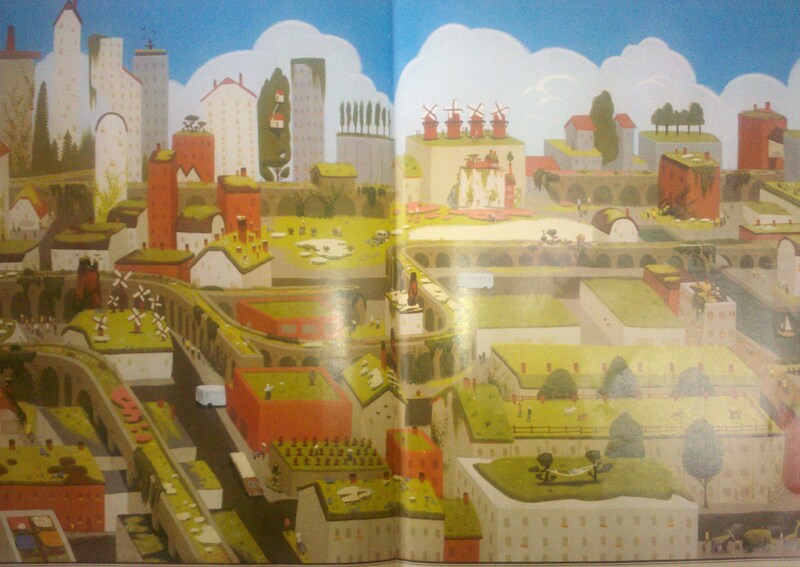 I especially like The Curious Garden, because there are a few full color pages with no words to really ‘experience’ how the city has changed from all city life to small gardens throughout. This book could be used in the classroom during a discussion about the environment, gardening, preservation, and how plants can grow within cities. I suggest this book for older ages, because there are more words on each page and to discuss the overall topic. 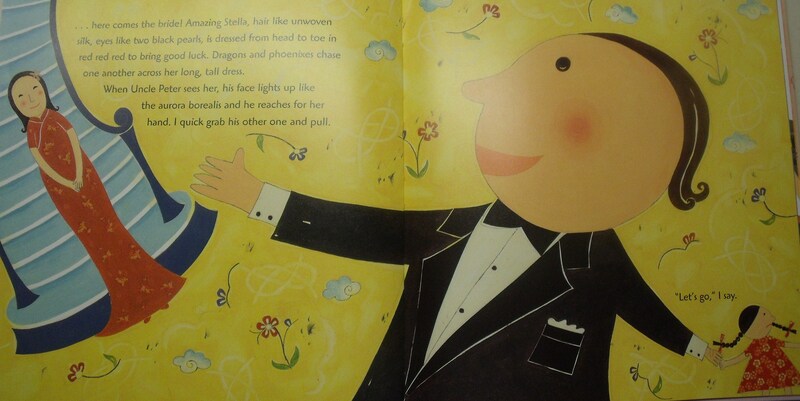 Although, all ages can enjoy this colorful garden book. While searching through photos I stumbled upon a potential garden similar to The Curious Garden in my own city of Tacoma, Washington. You can just barely see the train tracks running through the grass and wild flowers. I’m not sure how long this train track hasn’t been in use. It’s amazing what nature truly can do when we leave it alone. 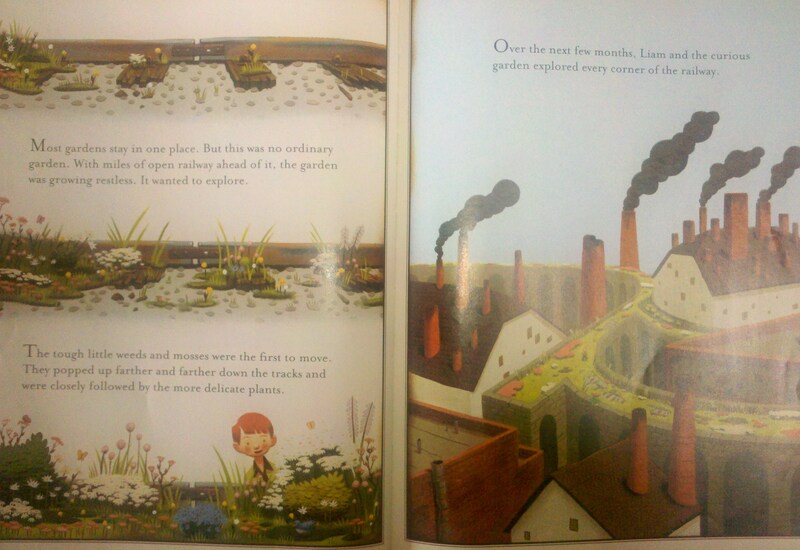 This entry was posted in Ages 6-8, Ages 8-10, Book Review, Children's Book, Picture Book and tagged Book Review, children's book, environment, garden, Peter Brown, picture book, The Curious Garden. This is the inspiring true story of the John J. Harvey-a retired New York City fireboat reinstated on September 11, 2001. Originally launched in 1931, the Harvey was the most powerful fireboat of her time. After the September 11 attacks, with fire hydrants at Ground Zero inoperable and the Hudson River’s water supply critical to fighting the blaze, the fire department called on the Harvey for help. The book provides brief history of events during Harvey’s prime in the 1930s. The pictures are beautiful and provide a unique story during a tragic event. It briefly explains what occurred without going into too much detail. The focus is upon the community’s involvement that creates a discussion about everyone’s role and the importance of coming together. This entry was posted in 9/11, Ages 6-8, Ages 8-10, Book Review, Children's Book, Picture Book, Reblogged and tagged 9/11, Book Review, children's book, Fireboat: The Heroic Adventures of the John J. Harvey, Maira Kalman, picture book, September 11th. Yoon has moved to the United States from Korea and now must adjust to her new life. Her father tells her that now she must learn how to write her name in English. However, Yoon doesn’t want to write her name in English and feels her name looks happy in Korean. It means Shining Wisdom, but her father reminds her that even when written in English her name still means Shining Wisdom. 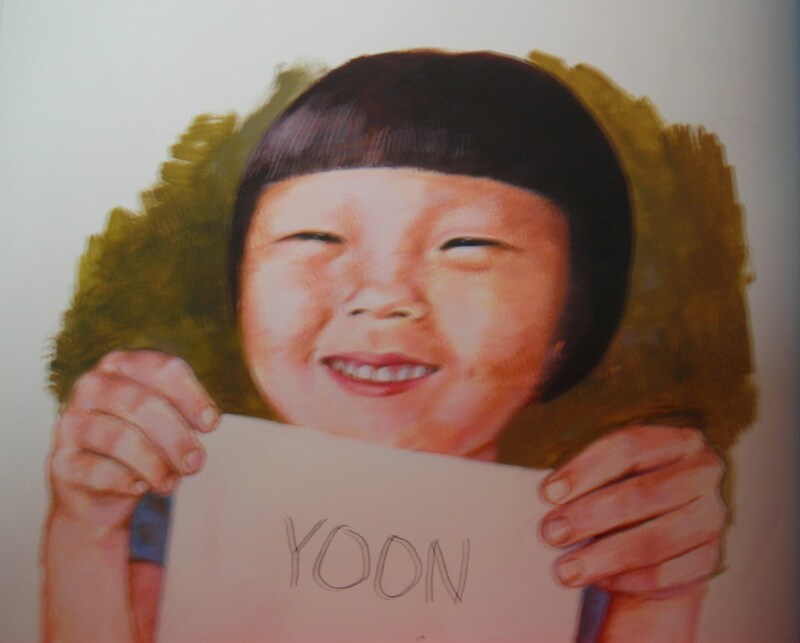 When she attends school she learns about cat and must write her name on the paper, but she doesn’t want to write Yoon. 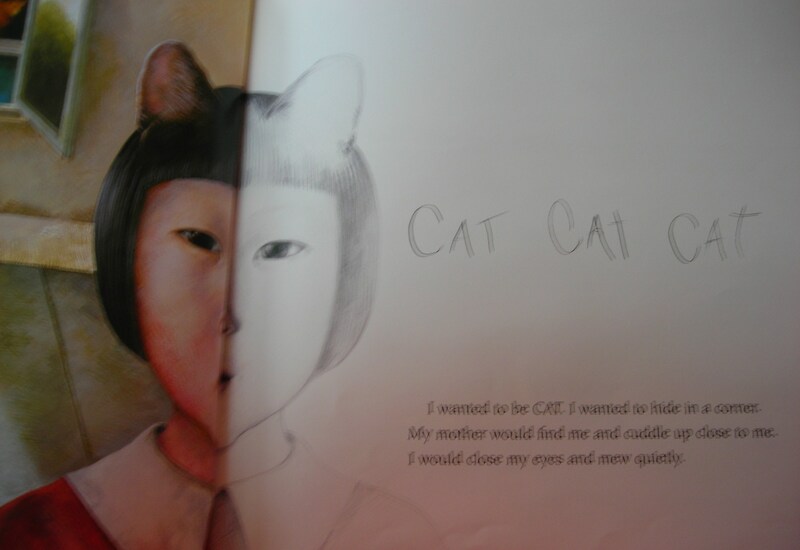 Instead, she wrote cat on each line. Yoon doesn’t fit in and has no friends. She wants to go back to Korea where she is happy and the teacher likes her. A girl at recess gives Yoon a cupcake and Yoon decides that her schoolmates will like her if she is a cupcake. Finally, she writes her name as Yoon. She writes her name in English and it means Shining Wisdom. I enjoyed this cultural book about fitting into a new place. Yoon wanted to still be in Korea and didn’t want to fit in at first. Slowly, she learned that different is good and she can still be herself too. Yoon’s name written in Korean. 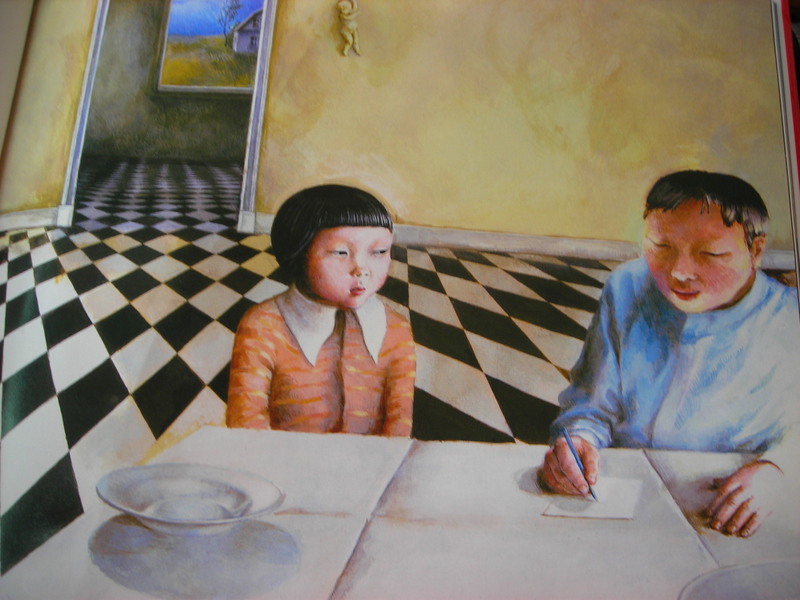 This entry was posted in Ages 6-8, Ages 8-10, Book Review, Children's Book, Picture Book and tagged Book Review, children's book, cultural, Gabi Swiatkowska, Helen Recorvits, My Name is Yoon, Realistic Fiction. This is a cute story told from the perspective of a young girl named Jenny who is the only person not happy that her favorite uncle is getting married. Normally, she loves weddings but she is her Uncle Peter’s special girl and feels that he is leaving her. As Jenny puts it ‘I am the jelly on his toast, and the leaves in his tea’. Everyone else is joyous and celebrating, but Jenny is sad. The book describes the Chinese wedding process and what the day would be like hundreds of years ago. 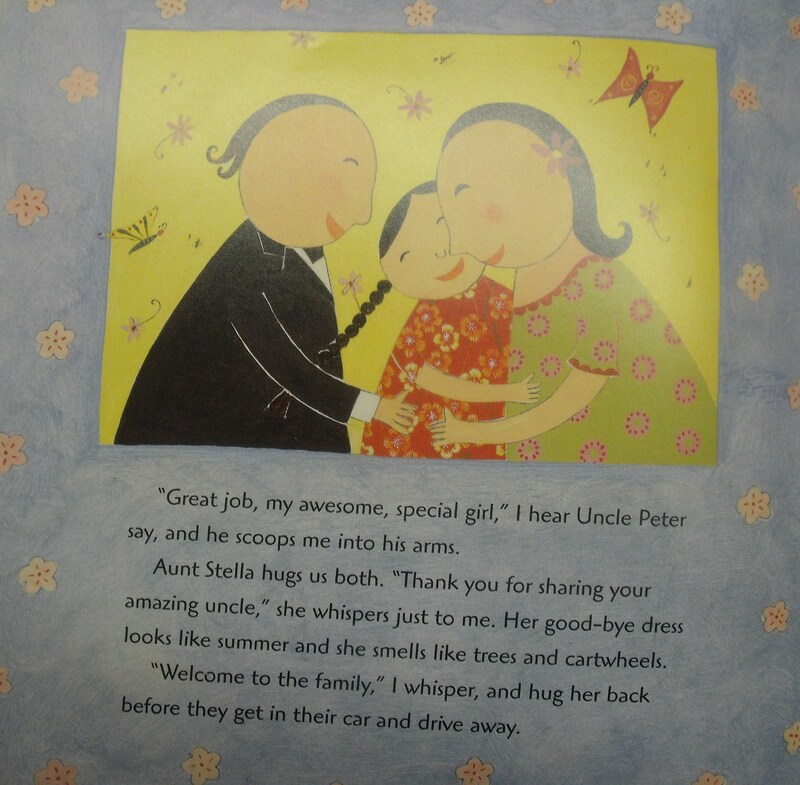 Uncle Peter drives his car to pick up the bride, but is told that he can’t see her yet and must pay up. So the groom bargains and finally pays two hundred dollars until the bride appears wearing a red dress. It’s time for the tea ceremony where the bride is officially part of the family and she serves tea. Jenny has a sneaky idea and empties the tea-pot and puts just water to get the bride in trouble. Jenny’s mother talks with her and finally Jenny understands to be happy for uncle. The wedding fun continues with exchanging red money packets, speeches, outfit changes, and dancing. The bride gives Jenny a special box filled with butterflies and tells her thanks for sharing your amazing uncle. Today, my sister is getting married so hopefully everything is amazing. I’m even a bridesmaid, so I should have lovely photos to share. 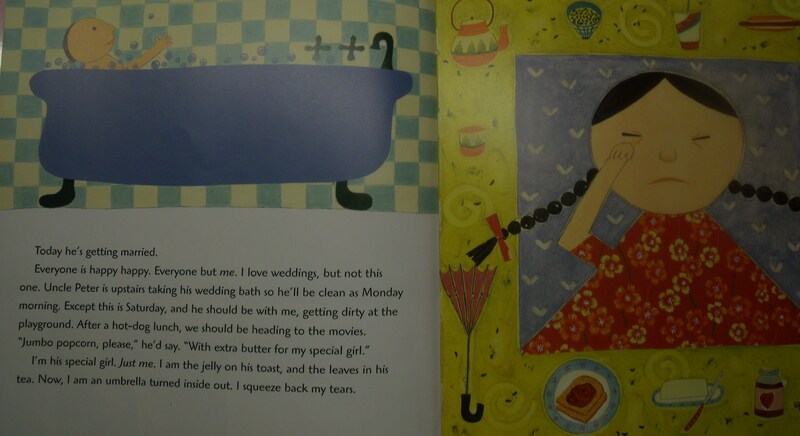 This entry was posted in Ages 6-8, Ages 8-10, Book Review, Children's Book, Picture Book and tagged Book Review, children's book, Chinese, Chinese Wedding, cultural, Lenore Look, picture book, Uncle Peter's Amazing Chinese Wedding, wedding, Yumi Heo. Pop! 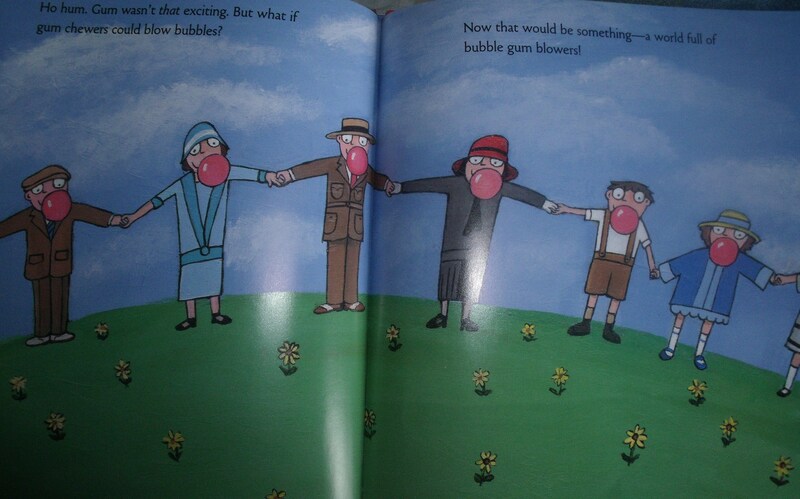 The Invention of Bubble Gum is the interesting story about how Dubble Bubble chewing gum was invented. It was made in small candy factory in Philadelphia in the 1920s by a man named Walter Diemer. 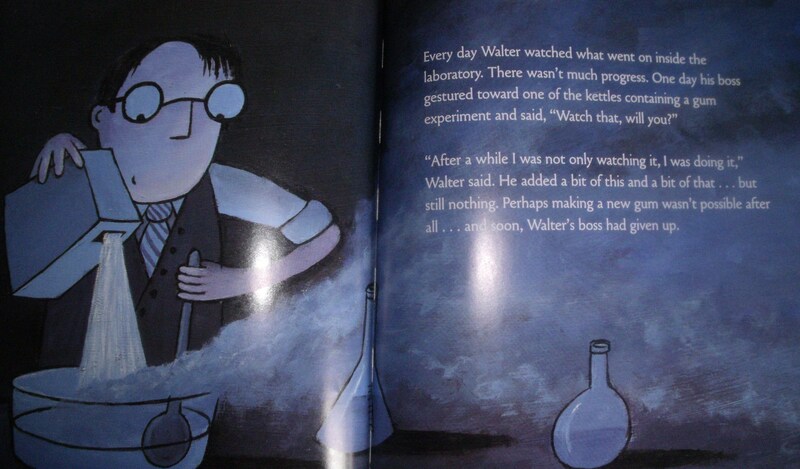 Walter was an accountant, but became curious about a laboratory next to his office. The company was trying to make a new kind of chewing gum. 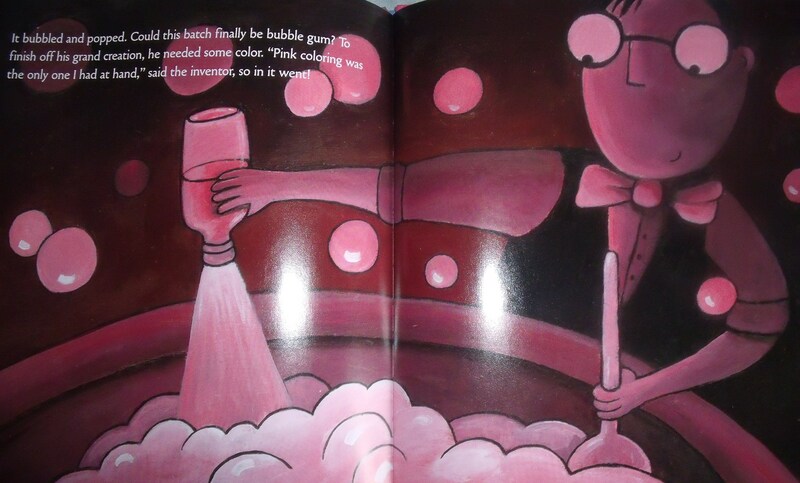 Walter experimented with different mixtures until finally bubbles formed. He added some flavor and began to chew it. Walter blew large bubbles from the mixture. However, the next day the mixture was as hard as a rock and wouldn’t blow a bubble. So, Walter continued to find the correct ingredients and finally had what he wanted. He added pink coloring, since that was the only color available. Batches were sent to local stores and Walter Diemer gave gum blowing lessons. He never got rich from his invention, but he didn’t care because he enjoyed making people happy as they blew bubble gum. The book provides additional information about Walter Diemer, gum facts, and the history of gum. If you swallow your gum, it won’t stay in your stomach for seven years. Dubble Bubble was included in ration kits for American soldiers serving in World War II. The largest bubble recorded is set by Susan Montgomery Williams for twenty-three inches in diameter. During World War II, some kids kept their Dubble Bubble “alive” in glasses of water at night. Some even managed to continue chewing one piece for as long as a month! Chewing sugarless gum can prevent tooth decay. Chewing gum on an airplane will prevent your ears from popping. This entry was posted in Ages 6-8, Ages 8-10, Book Review, Children's Book, Picture Book and tagged biography, Book Review, children's book, invention, Meghan McCarthy, nonfiction, picture book, Pop! 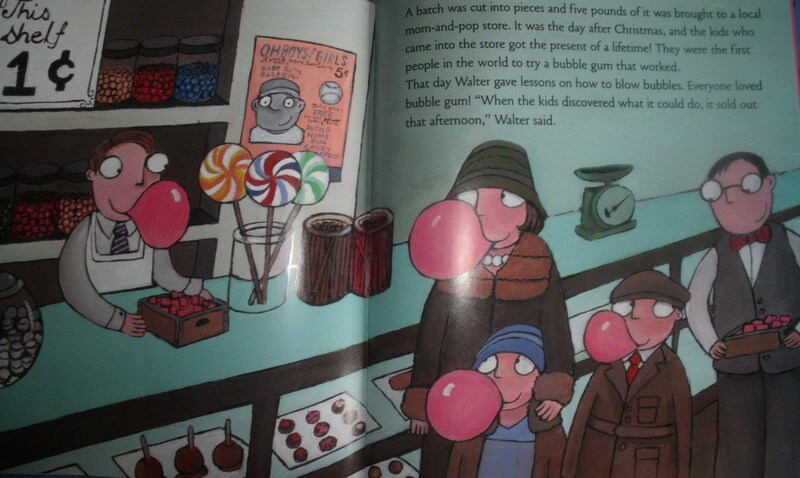 The Invention of Bubble Gum, Walter Diemer. Polar: The Titanic Bear is a fascinating true story told from the bear’s perspective. The story was written by the boy’s mother, Daisy Corning Stone Spedden. The story along with family photographs was discovered in the attic by Leighton H. Coleman III who is a distant cousin to Daisy. 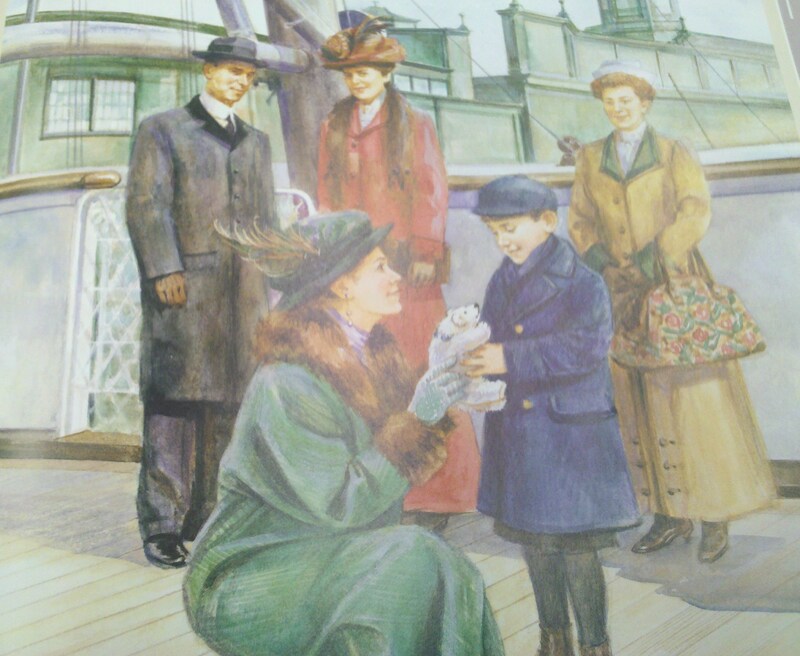 She presented the story to her son, Douglas or “Master” as he’s called in the story, on Christmas in 1913. The bear was manufactured in Germany and shipped to F.A.O. Schwartz in New York City. The boy quickly fell in love with the bear and named him “Polar”. 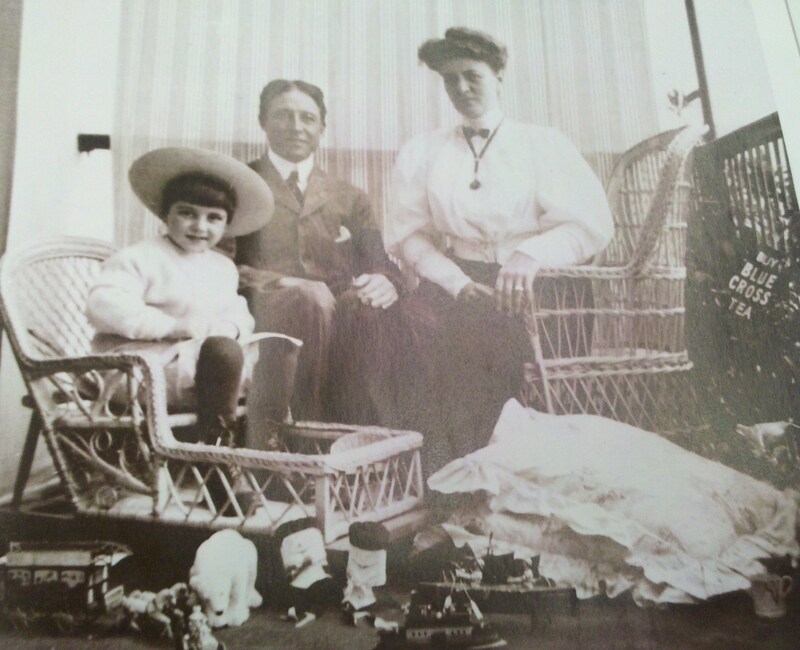 The Spedden family was very wealthy and traveled around the world. Master took Polar everywhere with him. A few places they traveled to were Paris, Panama, Bermuda, and Northern Africa. Master kept Polar near when he was sick with the measles. He even included Polar during tea parties with friends. Finally, they were going to return to America on the Titanic. Master held Polar close in the lifeboat. As everyone was being rescued out of small lifeboats and onto the Carpathia, Polar was almost forgotten until sailors noticed the bear. The entire family safely made it across the Atlantic Ocean. I enjoyed Polar: The Titanic Bear as it provided a snapshot into the privileged Edwardian-American society. 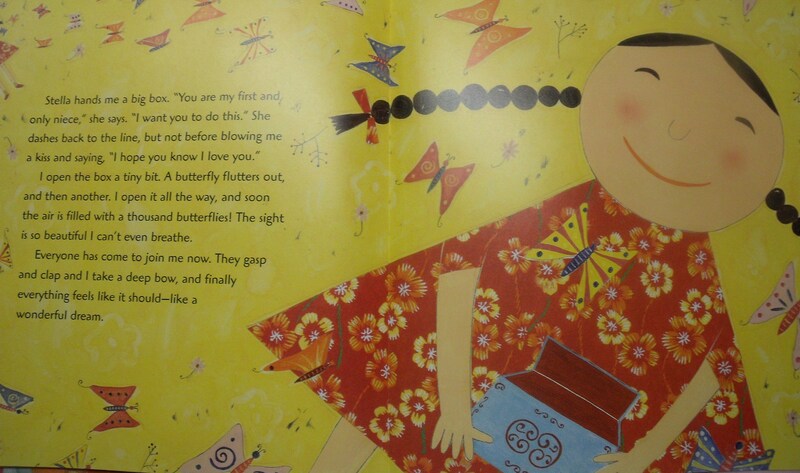 The book is a little long for a read aloud, but it includes many family photographs, postcards, and other mementoes. I think adults will also enjoy this unique book. Sadly, Douglas died only three years after surviving the Titanic disaster. 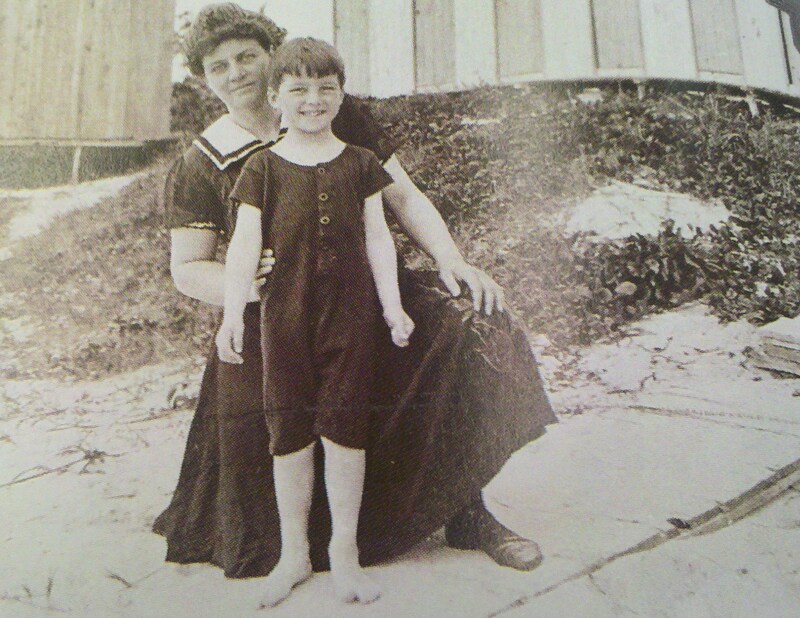 He was only nine years old in one of the first recorded car accidents in the state of Maine. Nobody is certain what happened to Polar the bear. The Speddens continued to travel, but had no more children. 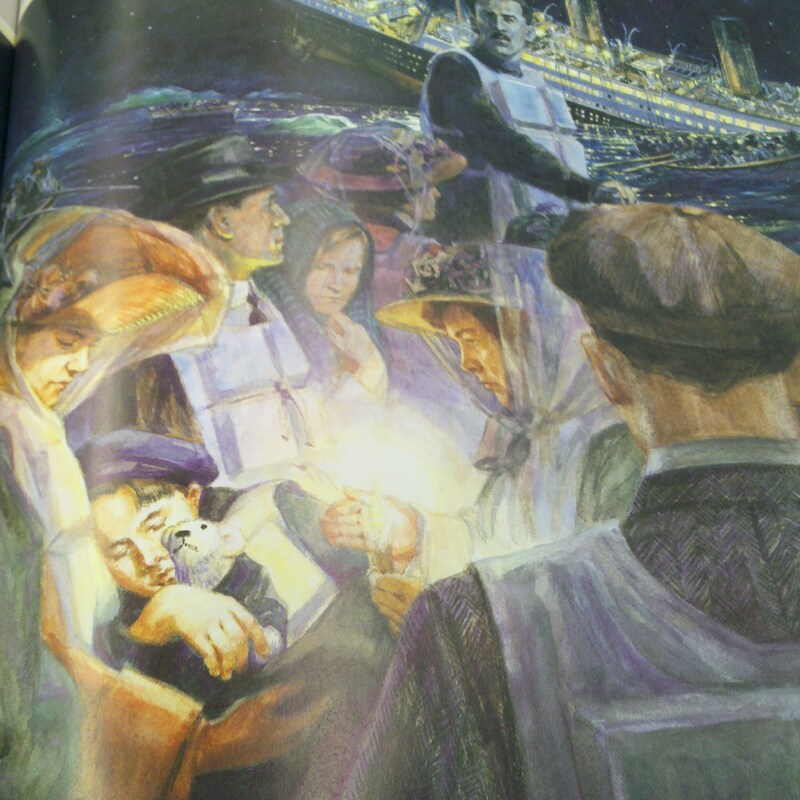 The Titanic adventure doesn’t begin until about the middle of the book. Douglas with his parents, Polar is at his feet. Douglas and his mother on the beach in Bermuda. 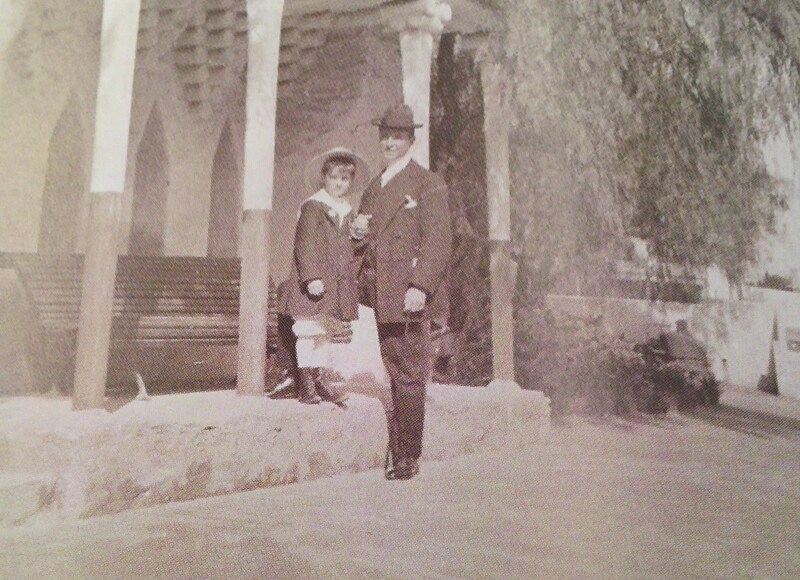 Douglas and his father in the hotel garden. This entry was posted in Ages 6-8, Ages 8-10, Book Review, Children's Book, Picture Book and tagged Book Review, children's book, Daisy Corning Stone Spedden, Laurie McGaw, nonfiction, picture book, Titanic. 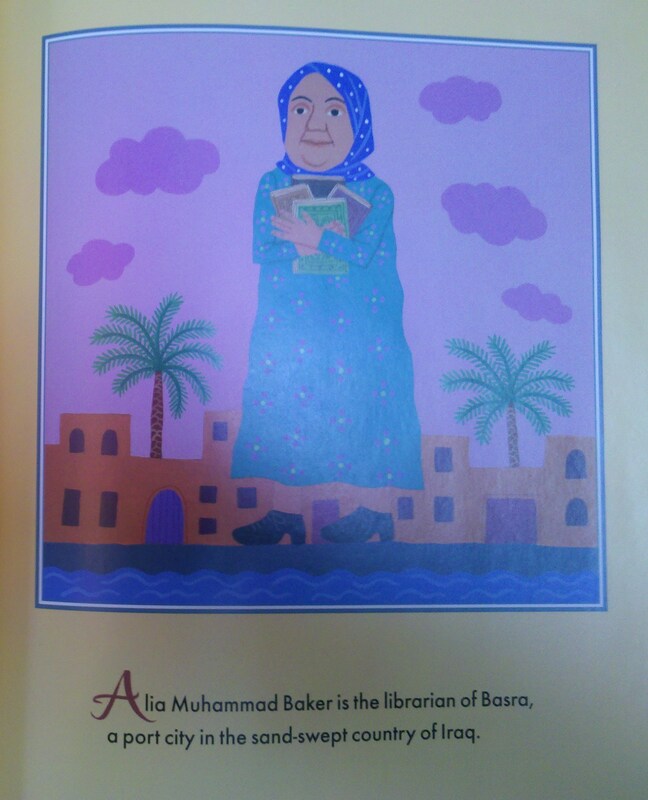 Alia Muhammad Baker is the librarian of Basra, a city in Iraq. 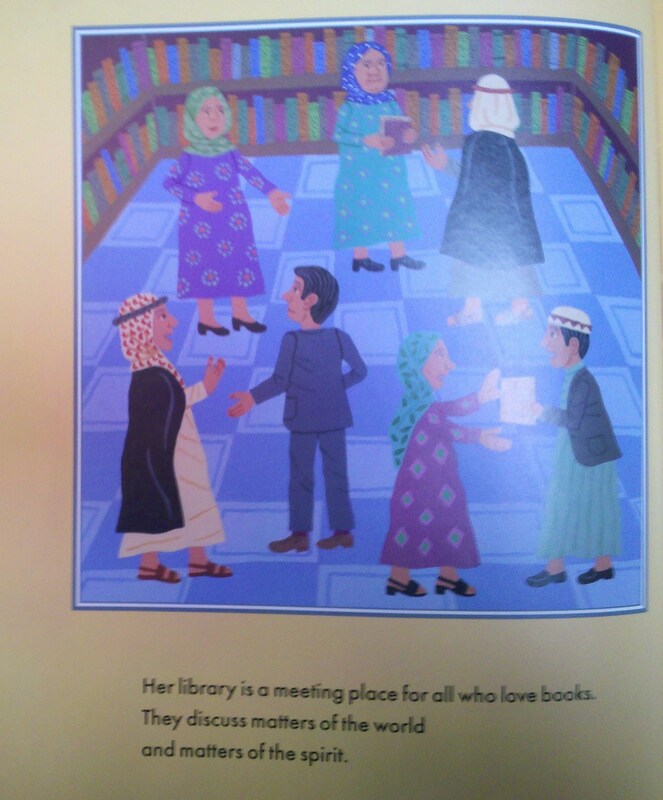 Her library is a meeting place to discuss books, but also to discuss war. 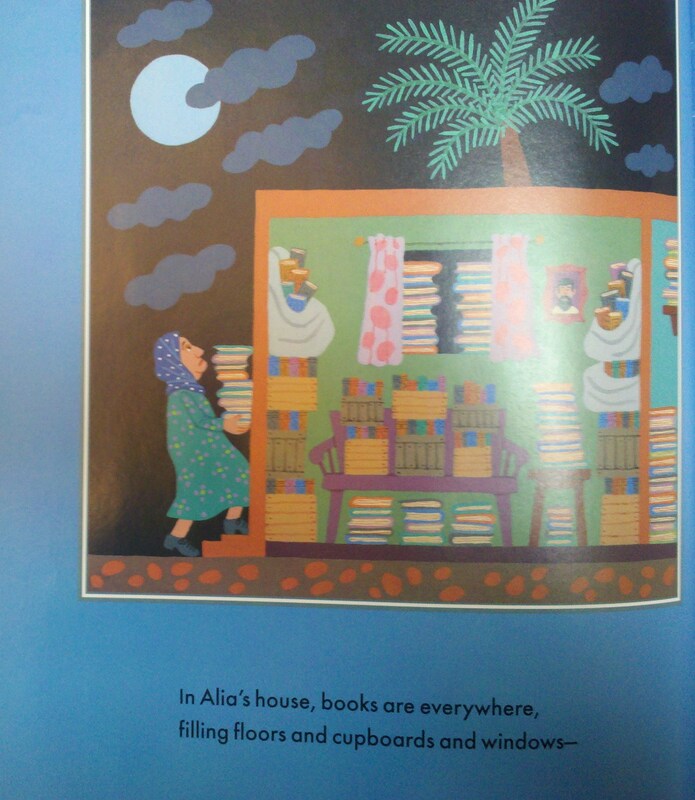 Alia worries that fire from the war will destroy the books, which are very precious to her. She asks the governor for permission to move the books to a safe place, but he refuses. 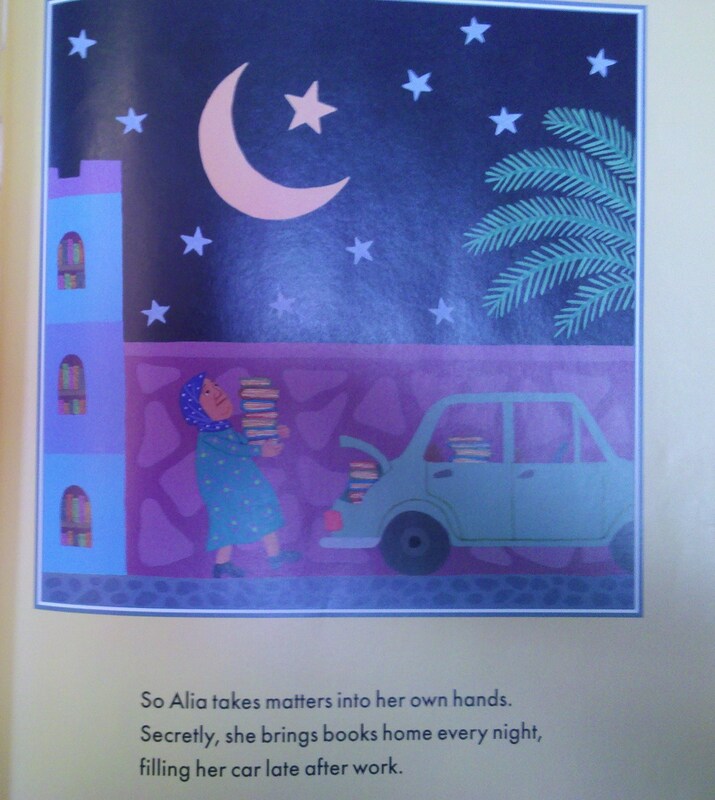 Alia decides to protect the books herself and secretly brings books home every night. Finally, war reaches Basra. 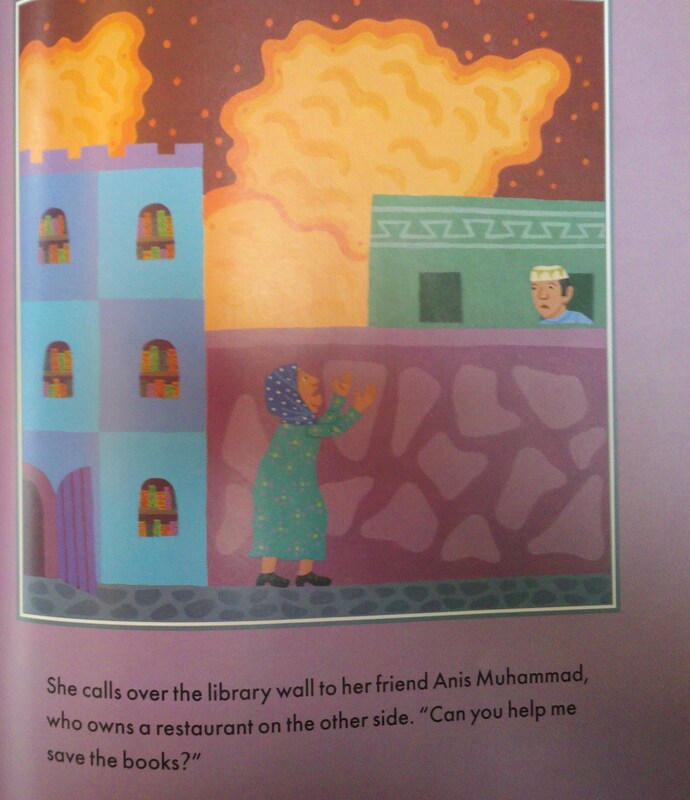 Alia asks her friend, Alia Muhammad, who owns a restaurant next to the library to help save the books. They quickly remove the books from the library and hide them in the restaurant. 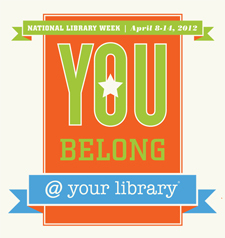 Only nine days later, a fire burns the library to the ground. They move the thousands of books to her house and friends’ houses to protect the books from harm. The Librarian of Basra: A True Story from Iraq is a true story about a brave women in Iraq. War is a sensitive issue and I thought this book demonstrated that a community can work together to save precious books. The text is straightforward and doesn’t become too graphic when discussing war. It’s a good book to start a discussion about war with children. The pictures are vibrant and beautiful. 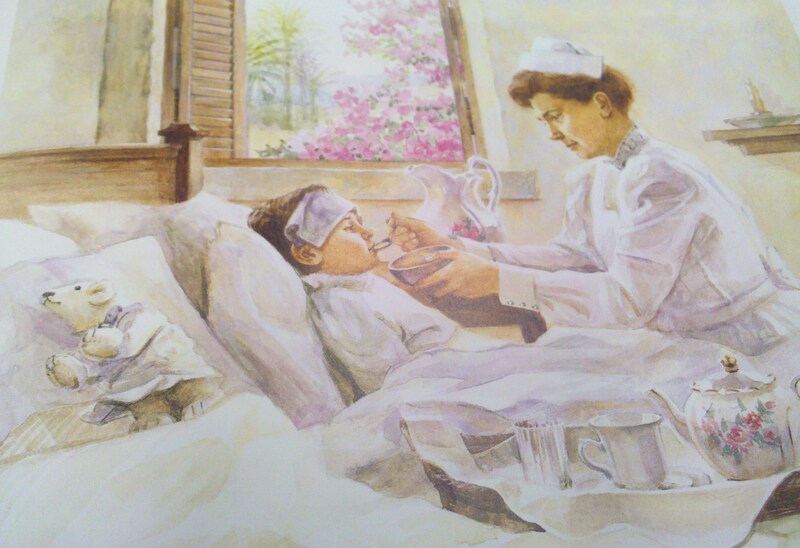 This entry was posted in Ages 8-10, Book Review, Children's Book, Picture Book and tagged Alia Muhammad Baker, Book Review, children's book, Iraq, Jeanette Winter, library, nonfiction, picture book, The Librarian of Basra: A True Story from Iraq.